This is it! I get a chance to meet this really nice person after a long time of even just trying to have a picture with her. Going back, she announced this Meet and Greet Party earlier this week at one of her blog posts. The reason why she had this Meet and Greet event is because it’s RAID MY CLOSET’S SECOND BIRTHDAY!! Honestly, I wasn’t able to witness the first one because I am still a newborn when it comes to blogging. 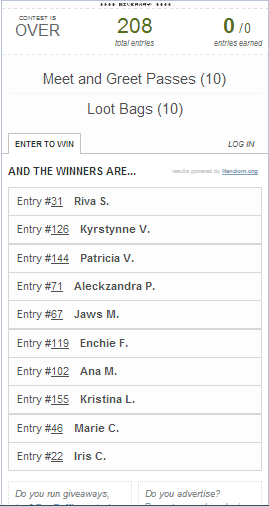 Here’s the rafflecopter giveaway at the end of her Gummy Bear post of which I joined. It was Friday, August 2, 2013, when I saw that I was one of those who will meet her! OMG. I was so excited the moment I’ve been thinking about what will I ask her, share with her, and of course, have a picture taken with her. The Meet and Greet happened last August 3, 2013 at Tea 101, Scout Bayoran, Tomas Morato, Quezon City near Hotel Rembrandt. It was raining hard but I don’t think anything can stop me from seeing her. I came around 2:30 pm and I was late. But I’m happy that I still got along with the conversation along with my fellow Arnie followers. When I found out that the M&G will be on a tea house, I already had this feeling that a good conversation will happen. But it’s the first time that I get to try Tea 101 because they don't have a branch near my place. I could say that it’s quite from the usual tea house I'd been to. First, the place is super cozy. Second, there’s a good music around the place because of the television tuned into Channel V. Third, they have these nice furniture around the place which makes me feel like home. It was mentioned on the Meet and Greet announcement that loot bags will be provided for the ten lucky people who will be chosen. I can’t wait to get my hands on one of these loot bags. Wanna know what’s inside these loot bags? Well, here you go. I think all of the lovely stuff inside this loot bag is a must-have for every girl. I can’t thank enough Ate Arnie for all of these. Thanks to DonCha Pastries for the cupcakes. Of course, I wouldn’t miss the chance to taste some of them. My first pick. This Caramel Cupcake. I chose this one first because it reminded me of the Starbucks Caramel Frappe. And, It was tad too sweet for my taste. Zandy recommended my next choice. It is the Oreo Cupcake. This one suited my taste best. It’s not that sweet because the Oreo cookie balanced the taste. Red Velvet was recommended by Ate Arnie. I was really intrigued of trying it because she keeps on insisting it. I fell into the trap, but she was right. It’s also delicious. The amount of sweetness it has is just right that I can even recommend it to those who don’t like pastries. I’m a lover of pastries and I would recommend DonCha Pastries! Since it is Raid My Closet’s Second Birthday, we wouldn’t wanna miss the chance to give a gift to its proponent. I was seated at the front of the prizes for the games that we are supposed to be playing. I have to blame the heavy rain for stealing the moment and made us feel like we’ll just have to have a light talk with each other. But, we did try to play though. A Pinoy Henyo twice then that’s it. Every story has its ending. We've come to the point that we have to bid goodbyes to each other. Though everyone seems to like staying for an hour or so, Ate Arnie had to go already. Of course, this event won’t end without the group picture taken. I met Arnie Villanueva. I met new friends. I got cool stuff with me. What more can I hope for on this day? I will forever cherish this hug from her which will always remind me how Ate Arnie loves her readers so much. 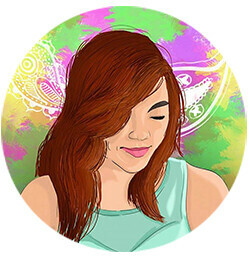 I hope this wouldn't be the end Ate Arnie Villanueva.